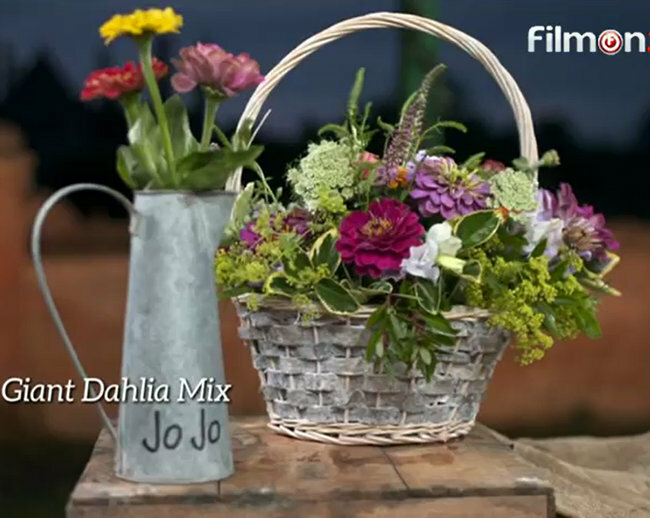 Growing Zinnia on the Big Allotment Challenge (Ep. 1) | Grow Your Own Veg Blog. Gardening and Food Blog. While working on the Big Allotment Challenge last year, the gardeners were tasked with growing Zinnia for the Week 1 Floral challenge. 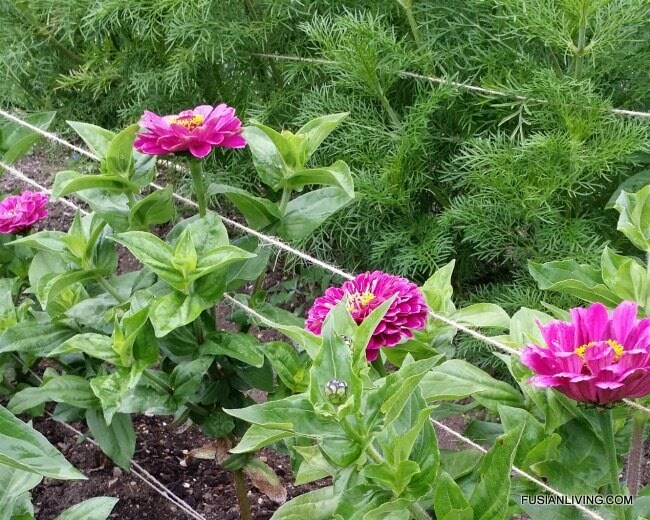 Zinnias are best sowed directly into the soil, as they don’t like being transplanted. Floral expert, Johnathan Mosely, suggests sprinkling horticultural grit or sharp sand around the seedlings as they emerge, to keep the slugs and snails away. Then, feed weekly with a seaweed fertiliser or tomato feed. Zinnias can also be prone to getting a disease called botrytis. To prevent this, you can spray your plants with an organic fungicide such as Bordeaux Mixture. 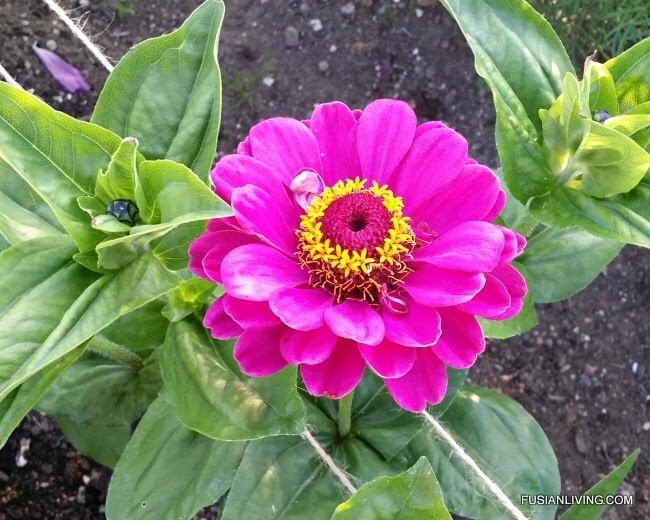 Of all the zinnias I grew, the Purple Prince was my favourite, just look at it – it is stunning! With long stems and large blooms, this is the perfect cut flower. The Zinnia Sprite mix produced an abundance of mini flowers that were an absolute delight. From each plant, there were masses of orange, hot pink, pink and bright yellow blooms. In the end, I ordered my Zinnia Purple Prince, Sprite mix and Giant Dahlia Mix online from Sarah Raven and thankfully, they arrived in time. Others faced similar challenges. 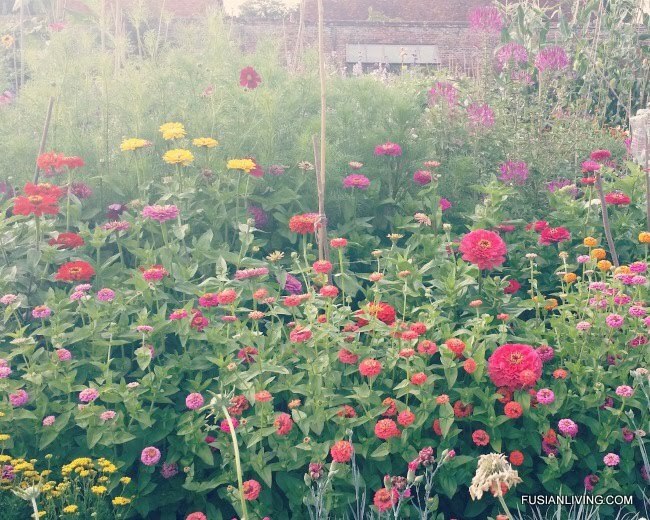 This was my Zinnia garden mid July, and one day before Show day. When it comes the show bench, it isn't just about growing the best blooms, you also need to make the right choices! When I was selecting three of my best Zinnia blooms for the specimen jar, I was focused on “uniformity” and did not realise that the Purple Prince semi-double and full double blooms could be displayed together. Since they looked slightly different, I thought that I would be marked down, so instead, I chose three stems of Giant Dahlia mix, which were much less impressive. During the judging, Jonathan pointed out three Purple Prince Zinnia blooms in my floral basket that were markedly better than the ones that I had chosen as my “specimens”. Good advice and lesson learnt!